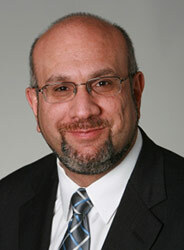 Burton Dicht is the Director of University Programs for the Institute of Electrical and Electronics Engineers (IEEE). In this capacity, Dicht is responsible for the development and implementation of educational programs for engineering faculty and students. Dicht began his career in the aerospace industry at Northrop Grumman in 1982 and during his aerospace career he made important design contributions on the F-5E/F, F-20A, YF-23A and F-18E/F projects. Dicht received his B.S. in Mechanical Engineering from Temple University and an M.A. in History from California State University, Northridge. Dicht has authored numerous articles on aerospace history and is a frequent guest speaker on aviation and space topics. Dicht servers as an Exhibit Explainer for the Intrepid Sea, Air and Space Museum in NYC and as a 1st Lt. and Aerospace Education Officer for the Phoenix Composite Squadron (NYC) of the Civil Air Patrol.